Fp-Oner - 7. Vinyl LP. Bleep. Fred P is back on Mule Musiq (Lake People, Mouse on the Keys) for the final part of this trilogy of FP-Oner releases. After 5 and 6 must come 7, and the producer uses the last in the series to demonstrate what his alter-ego is capable of. This means several slices of deep house built on evocative ambiences and earthy grooves. Highlights in this category are ‘Cosmic Waters’ and the soulful shuffle of Minako-featuring ‘Light Years’. However, the beauty of the FP-Oner moniker is that P can use these releases to show his range. 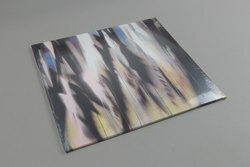 As such we also get forays into beatless electronica (‘Beyond Understanding’) and the fast, fidgeting closer ‘Arigato’.